What Would I Eat for My Final Meal? What would I want to eat for my final meal? Hmm. But I need to clarify a few other things before I can think about that one. Let’s start with one very safe assumption: my final meal will NOT be served on death row as I await execution. That’s a position I can’t imagine ever being in. Anyhow, with my luck, gourmet last meals for death row inmates might well exist only in the movies. More relevant: Would I able to chew and swallow at that stage of my life? Would I able to taste—and to smell, for that matter? Unless I could actually relish my last meal, why make a big deal about having something wonderful. If I couldn’t smell, who knows? Maybe I’d even give broccoli one last try. But here’s a real challenge. Will I know I’m going to die soon enough to request a last meal? I mean, is somebody pointing a gun at me? Even less likely, am I pointing one at myself? In either case, imminent death would seem to preclude the enjoyment of a final meal. That brings up another possibility: Is the final meal I’m planning going to result in my death? 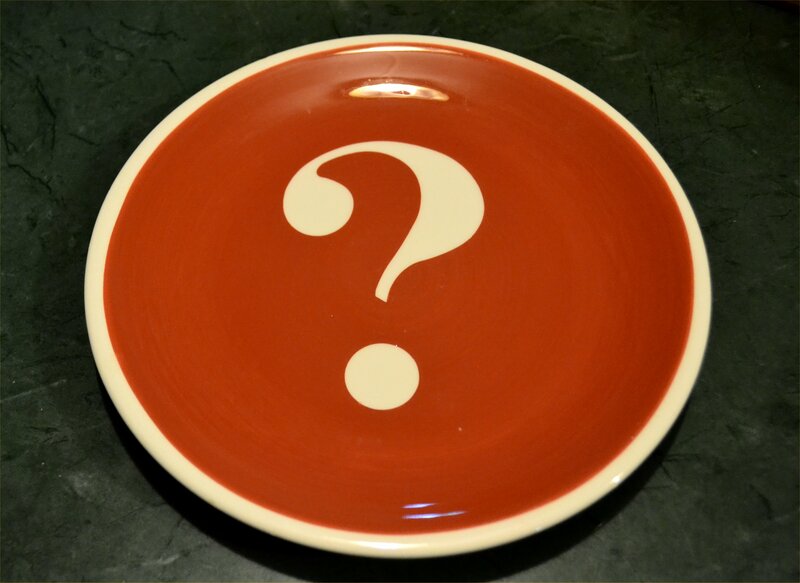 Will I gorge on enough “bad” food to cause a fatal heart attack? Should I plan every meal as if it might be my last and eat what I want without concern? Should I forget about my diabetes and regain those fifty pounds I worked so hard to lose—and maybe aim to add another fifty? I’m sure I won’t knowingly eat myself into the grave. But otherwise it all adds up to the fact that I don’t know when or how I’ll die. That’s in God’s hands, and I’m happy to leave it there. He plans things—and carries them out—so much better than I do. My word! I seem to have totally avoided my original topic, haven’t I? You really want to know what I’d want if none of the things I talked about was a factor? Here goes: pizza is nature’s most perfect food. I want mine from the Gino’s across from Virginia Center Commons—with bacon as the only topping. Chocolate chip cookies are the most perfect dessert. I don’t care where they come from as long as they’re soft and chewy and plentiful. And, gee, I kind of miss caffeine. I gave it up many months ago to drink more water. If I was about to die, I suppose the dehydration wouldn’t really matter , would it? What’s the point of all this? Now THAT is a question I can give a straight forward answer to. If you ever get into a conversation with me, you might do well to stick with yes-or-no questions. But even then you might get a maybe or a lengthy explanation. Okay. All seriousness aside, what would YOUR favorite final meal be? Please leave a comment to let the rest of us know. This entry was posted in Food, Water and tagged As I Come Singing, Christianity, Favorite Foods, Last Meal, On Aging Gracelessly, Roger E. Bruner. Bookmark the permalink. I hope you’re enjoying that with me, too, Love.